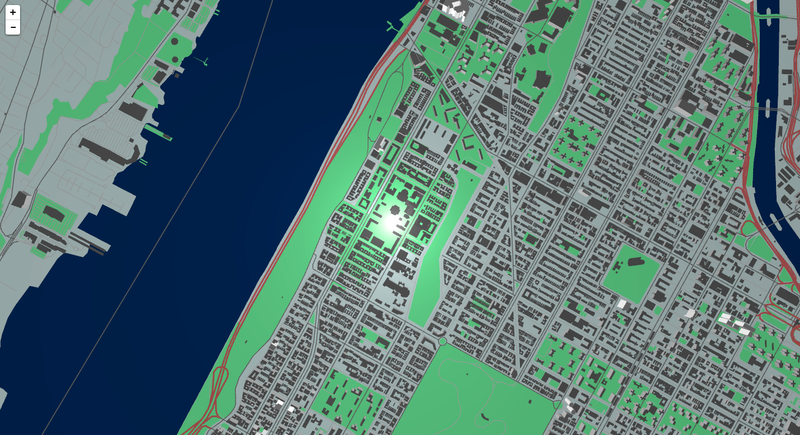 Map Club spent this week’s session exploring Mapzen, an open, sustainable, and accessible mapping platform. Attendees focused specifically on Tangram, an open-source renderer that allows intricate control over the design of web-based interactive maps. Mapzen leverages vector graphics and OpenGL to generate speedy, beautifully-rendered tiles, easily displayed using Leaflet. This entry was posted in Events, Workshops & Training and tagged map club, mapzen, opengl, tangram on August 2, 2016 by Emily Fuhrman.